The coin that is the Veneto region of Italy presents two radically different faces to the world. Firstly, there is Soave, fruity and perfumed and all too easily dismissed as bland and insipid. Secondly, and way out at the other end of the style spectrum, is Amarone, Valpolicella’s ultimate expression. They could hardly be more different, one from the other. They also bracket any Veronese meal perfectly; one to be sipped as an aperitif and the other to be savoured as a vino di meditazione when the dishes have been cleared, leaving just a few nibbles of cheese to be enjoyed with the wine. 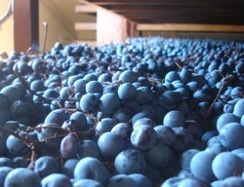 Left, Amarone grapes drying. Right, minute samples poured with great care at Quintarelli. 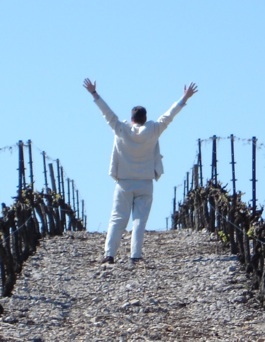 Soave’s neglect by serious wine lovers is something of a self-inflicted wound, for there is an ocean of forgettable stuff churned out every year that is fully entitled to call itself Soave. Thin and featureless, it bears little resemblance to the vibrant and tingling treats produced by the likes of Anselmi, Inama, Pieropan and Ca’ Rugate. This latter’s Monte Fiorentine is a delight, pale in the glass with a citrus-fresh character underpinned by a whisper of some fuller, vegetal notes. The principal grape in Soave is Garganega, which must account for at least 70 per cent of the blend. A trio of others is allowed: Trebbiano, Pinot Bianco and Chardonnay, though it is the Garganega that gives it its signature notes of citrus and nuts. Another trio of grapes – Corvina, Rondinella and Molinara – make up the cast of Valpolicella, a wine that has suffered a similar lack of respect from producers and consumers alike. However, in the hands of a top producer such as Romano Dal Forno or Giuseppe Quintarelli it can stake a plausible claim to being considered one of Italy’s greatest wines. It is produced in the splendid rolling hills that run roughly in an east-west line just to the north of the ancient city of Verona, where wine has been made since well before Roman times. A drive through the vineyards is a delight for any passengers, but for the man at the wheel it is a taxing experience. The road twists this way and that, with innumerable hairpin bends that have to be negotiated at a crawl. Small patches of terraced vineyard intermingle with scrubby forest and as you get higher the view opens out to reveal a magnificent vista that, on a good day, stretches all the way to Lake Garda. The region is characterised by small holdings (which may run to no more than a couple of hectares) tended to by grape farmers rather than winemakers. The vines are treated almost like favoured children and, at harvest time, which can last well into October, all the grapes are picked by hand. Come November it is not unusual to see a good scattering of bunches left behind, rejected as sub-standard, perhaps because of some damage to the skin. If included, a damaged bunch might lead to rot during the protracted drying process that is essential to the making of Amarone, a super-charged version of Valpolicella with port-like concentration and depth. Such strict selection allied to the diminutive holdings means that there is no possibility of harvesting by machine. As one grower put it to me: “For Amarone you need the hands” – while holding out an impressively gnarled and powerful pair of his own. Once harvested the grapes are brought indoors to a drying barn where the bunches are placed on small wooden trays stacked up to the ceiling. Here, they are allowed to dry for three or four months, shrivelling as they lose moisture and thus concentrating the remaining juice, a technique said to have been introduced to the region by the Venetians, who learnt it from the Greeks. The result is a wine that will tip the scales at close to 15 per cent alcohol, a wine for careful sipping and contemplation rather than careless quaffing. The drying process has to be carefully controlled with plenty of ventilation to prevent rampant rot from breaking out. Botrytis, or ‘noble rot’, is acceptable to some producers, though not those who want to retain fruit flavours above all else, thus all the doors are left open during the day – and the night too unless the temperature falls below –5ºC. Humidity can be an enemy also and should it threaten to rise above 70 per cent big mobile fans can be swung into action to disperse the damp air. At a humbler level straight Valpolicella is a relatively simple, light-bodied wine without any great depth or richness. 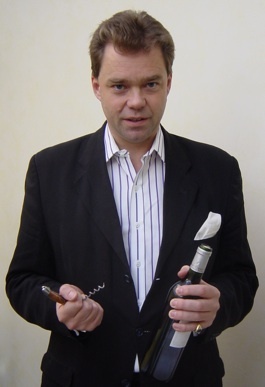 As such it now finds itself out of favour with palates weaned on stronger, oak-influenced and tannin-reinforced, wines. As a consequence more and more producers are employing a clever middle ground approach that preserves the freshness of basic Valpolicella while supplementing it with some of the weight of Amarone. In a process called ripasso an ordinary Valpolicella is re-fermented (or ‘re-passed’) on the skins of grapes that have already been used to make Amarone. By these means the resultant wines are imbued with enough texture and depth to appeal to the modern palate, while still remaining true to their origins. Origin is everything for Veneto wines, take that away and you are left with a characterless skeleton. 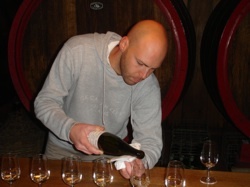 The results of such an approach are all too obvious in the industrially produced wines that almost, but only almost, destroyed the reputations of Soave and Valpolicella. A new dedication to quality is needed from the majority of producers and not just a handful of dedicated artisans. This then needs to be reciprocated by consumers who must cast aside out-of-date perceptions and indeed prejudices, so as to taste anew the twin treasures of Soave and Valpolicella. Will this lead to a renaissance in their fortunes? Here’s hoping. Amongst producers of Amarone Giuseppe Quintarelli enjoys iconic, superstar status – a state of affairs that is more than reflected in the price of his wines. But there can be no doubting their quality. These are as lavish and sumptuous as any wines to be found on the planet – if there is such a thing as a baroque wine Quintarelli makes it. Amarone is rightly regarded as one of Italy’s vinous treasures and in Quintarelli’s hands it is not hard to see why. Any roll call of the great names of the Veneto would have to include that of Romano Dal Forno. For some people Dal Forno is the best of all and it only takes a sip of any of his superb wines to see why. Zenato is a name that is associated with consistent quality and the ripasso from this house is a regular favourite amongst critics. Ca’ Rugate is equally well regarded for the quality of its white and red wines, while Anselmi, Inama and Pieropan have each in their own way acted as standard bearers for Soave, helping to revive its tattered image. It is easy to dismiss the bigger names like Masi and Bolla but both produce some superlative wines. Finally, a less exalted name such as Monte del Fra should not be overlooked. The ripasso here is redolent of plums and chocolate, with a smooth, lush texture and a faint, bitter cherry prickle on the finish. For a wine lover no visit to Verona is complete without a meal at the Bottega, the city’s most famous restaurant. When you have finished admiring the Piazza Bra and the Roman arena make your way along Via Guiseppe Mazzini, the premier shopping street. Towards the end take a right turn down the narrow Via Scudo di Francia and you are there. A glass of the house bubbly is a must as you peruse the 3,000-bottle wine list. Most of the great classics are there, including all the Bordeaux first growths as well as numerous vintages of Château d’Yquem. Domaine de la Romanée-Conti features strongly too but of course Italian wines take pride of place. The brilliant Barolo Monprivato from Guissepe Mascarello, along with Romano Dal Forno’s superlative Valpolicella, almost impossible to find elsewhere, are here for your pleasure. So too are dozens of wines by the glass. Owner Severino Barzan proudly shows visitors down to a cellar that is brim-full of venerable bottles – and then casually explains that only a fraction of his stock is held here. A warehouse on the outskirts of the city provides safe storage for a further 80,000 bottles and wines are constantly being ferried from it to make good the 300-bottle deficit run up in an average day in the Bottega. Note: Since this article was written Bottega del Vino has closed, much to the disappointment of a legion of fans around the globe. Article originally published in Food & Wine Magazine, July/Aug 2010.